Lisa Fannen is a vital, new voice in British poetry, with the courage to stand where the tectonic plates of internal and external forces collide, registering those seismic shocks – and, from that liminal place straddling worlds, the vision and artistry to powerfully express commitment to individual and collective transformation. 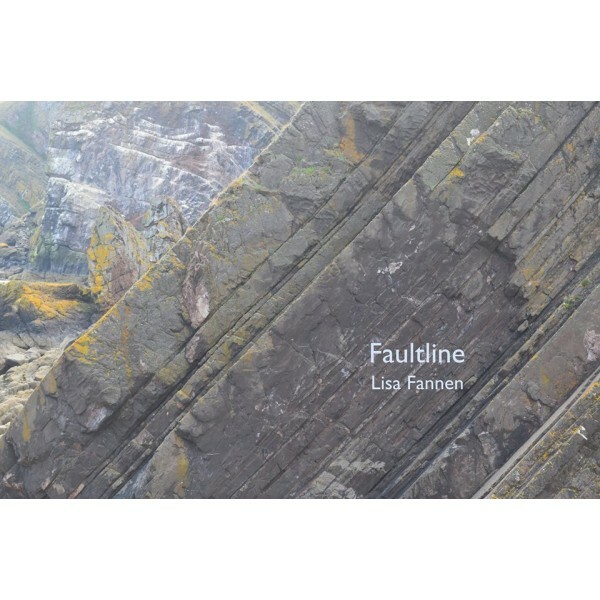 Faultline is richly diverse, with poems drawing on acute observation and personal experiences in the UK and US (including bereavement and work at a herbal foot clinic on Skid Row), which are interwoven with other important political poems, many meticulously researched and written in response to events of national and global significance, such as the Hillsborough Final Inquest Verdict and the Fukushima nuclear disaster. This is wild, raw poetry, words bristling off the page with righteous anger against oppression and as satire of the neoliberal capitalist system, juxtaposed with exquisite moments of grief, tender connection, insight. Lisa Fannen’s debut collection deserves attention, as it promises to become a cherished companion for anyone trying to survive within the crazy-making system we’re simultaneously attempting to change. Fannen’s work is a siren call, a blessing, a whisper. Socially and politically aware, Fannen’s words offer up a vibrating tremor of language, daring us to be fully alive and feel. She delivers words/syntax in a volley of compassion and consideration. Fannen topsy turvey’s poetics and bears witness to the layerings of life. She takes you to the Faultline, holds your hand and gently, makes you look. The common thread running through these poems is that of kindness. Lisa sees with a kind eye, reacts with a kind mind and then, like the person on the night train ‘pulling the trolley backwards’, dispenses that kindness with considered gentleness; tea, biscuits and, in Lisa’s case, a healthy dose of poetry. Ah, that’s better. Here are the completely un-cynical reactions of a good person to what might to others be perceived as a bad world. The message is clear; it is we who make the world around us, so do something about it, or, in Lisa’s own words, ‘bare yourself; be generous’.